Uncover The Secret To Optimizing The Brain And Training The Body By Harnessing The Technological And Highly Innovative SMARTfit™ System At Back To Motion Physical Therapy Today! If you are taking the time to read this, it is quite likely that there are some issues about yourself that you would like to correct. Perhaps you feel as if you are not as physically fit as you would like to be. It could be that you suffer from a disability that limits your range of motion or detrimentally impacts your balance. Maybe your energy levels are too low. Is your mind often so full that you feel as if it is hard to remember details, recall events, keep track of obligations, or other cognitive tasks? Regardless of whether you are having physical problems or cognitive complications, we here at Back to Motion Physical Therapy can help! Do you find yourself searching endlessly online for a miracle cure for the physical symptoms that you experience? Is it common for you to avoid making plans or cancelling prior commitments because of pain and other types of discomfort? Do you experience bouts of inflammation, pain in the joints, or general feelings of being unwell? Are your reflexes and response times to situations seemingly slower? Do you depend on planners, apps, and calendars to track events because your memory simply is not what it used to be? Do you walk into a room with a purpose only to forget that purpose once you arrive at your destination? Do you use a lot of supplements but still find that you experience the same physical or cognitive symptoms that you were trying to resolve? Do you pay hefty costs each month in order to part in workouts and other physical activities at your local gym, only to discover that they are not as much help as you originally thought they would be? Do you find yourself visiting the doctor more often than you would like? Are you sick and tired of taking all of those over-the-counter and prescription medications and suffering from the costs and side effects of them? Start SMARTfit™ TODAY and Experience Relief as Quickly as Tomorrow! The SMARTfit™ workout machine is a specially-designed product that combines the elements of physical activity, brain-based responses, and customized software that aids in strengthening and building the body, while enhancing the processes and functionality of the brain. This system utilizes a distinctive APP in the industry that is considered to be highly revolutionary. 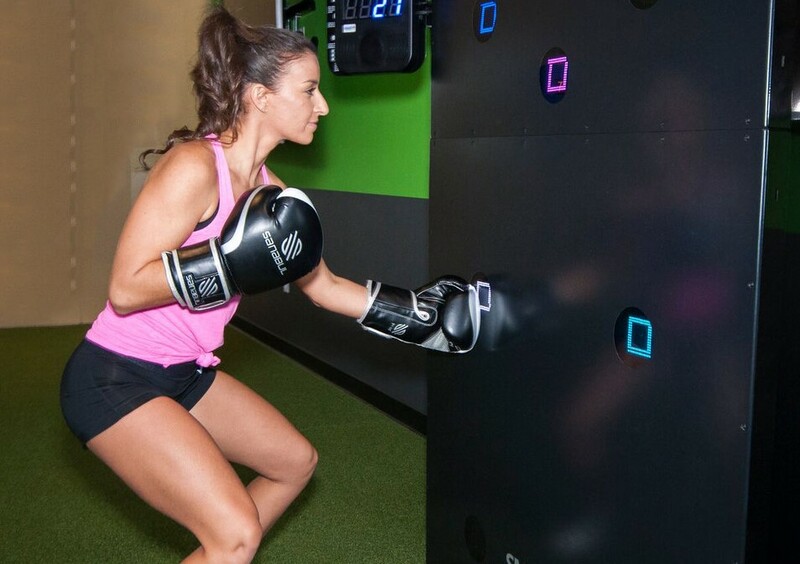 We customize it – per patient – so that it activates built-in “intelligent” targets that helps move you through various movements that are specially-designed to coordinate your brain and your body to enhance your motor skills, your cognitive skills, and the general functionality of your body. Unlike supplements and medications that may mask symptoms for a short period of time, SMARTfit™ improves your mind and body for YEARS to come! Here at Back to Motion Physical Therapy, you will work in conjunction with a licensed therapist and the SMARTfit™ system in order to increase the input demand on your body. In doing so, you will dramatically increase the output – which means better physical health and better mental health! This amazing system is used in clinical settings, hospitals, medical offices, schools, training centers, gyms, rehabilitation centers, and more – around the world. It is designed to benefit kids, teenagers, athletes, adults, seniors, those struggling with disability, those recovering from illness and injury, and many use it simply to stay in shape or reduce the possibility of developing issues in later years – such as dementia, Alzheimer’s, and health problems. 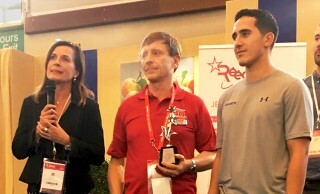 Each year, Reeduca in Paris, France elects a product for its high level of innovation. In 2018, the most recognized piece of innovation at the convention was the SMARTfit™ system! This is a highly prestigious award. People, inventors, and manufacturers from around the world come together in hopes of their product being recognized. The SMARTfit™ exercise and rehabilitation system is quickly gaining an immense level of recognition – not just in Reeduca – but around the world. Now, by signing up with us at Back to Motion Physical Therapy in Denver, you can take part in a customized, highly-respected, and emerging technologically advanced service that will have you feeling and looking your best – both inside and out! The progressive ability programming that is used with the system will “learn” what your strengths and weaknesses are and will build upon that so that you are able to achieve your personal best. You will gain an immense amount of core strength, which will help in improving your overall balance and general level of stability. You will instantly discover that your problem-solving skills and your memory starts to improve. Your ability to move easily from one location to another is improved. Your motor skills will become more in-tune and you will enjoy faster reflexes and reaction times. If you are ready to enhance the mind, optimize the body, and fine-tune your health, the SMARTfit™ system here at Back to Motion will assist you! For the month of January, our introductory offer will be 50% off. It will only cost $100 for the entire month. But the offer ends February 1st, 2019 so act fast. See more information and a video on our SmartFit Service page. Or You can just give us a call if you’d like to get started.